Last 25 January 2012, Joint Administrative Order (JAO) No. 1 was signed, effectively relegating the ancestral domain titling process to a joint national committee composed of four government agencies responsible for issuing and registering land titles in the country. Four government officials representing the Department of Agrarian Reform (DAR), the Department of Environment and Natural Resources (DENR), the National Commission on Indigenous Peoples (NCIP), and the Land Registration Authority (LRA) of the Department of Justice signed JAO 1-2012. Exactly a year before, the DAR-DENR-LRA-NCIP (DDLN) Joint Task Force convened and met to lay the basis for a joint administrative order that will address issues on the conflicting jurisdiction of the DDLN agencies. The DDNL Joint Task Force Technical Working Group requested for an extension to enable them to further study, revise, refine, and evaluate the comprehensive policy draft that will provide the rules and regulations, procedures, and systems to address the jurisdiction conflicts. In essence, JAO 1-2012 outlines the jurisdiction and policy mandates of DAR, DENR, and NCIP, the contentious areas and issues that emerged, and the mechanisms to prevent and resolve the contentious areas and issues at the national and field levels. LRA comes in as the agency overseeing the Register of Deeds, the government office that administers the Torrens system of registration of real estate ownership in the country and judicially confirms and records all land titles in government archives. 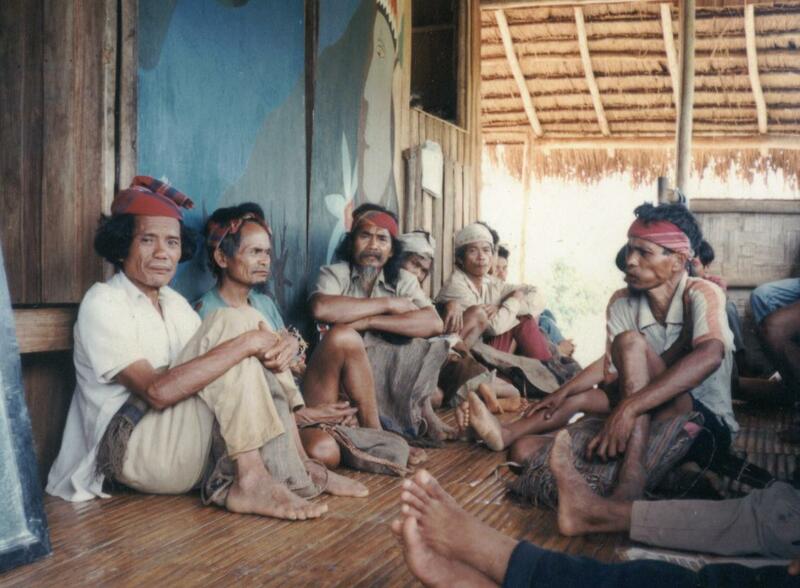 When the Philippine Congress passed the Indigenous Peoples Rights Act (IPRA) and the Comprehensive Agrarian Reform Law (CARL), these asset reform laws enabled and mandated the government institutions NCIP and DAR to issue titles to recognize ancestral domains of indigenous cultural communities and land ownership of agrarian reform beneficiaries. However, conflicts and disputes soon emerged on jurisdiction and overlaps as applications for land titles under IPRA overrode existing claims and issued titles on the same areas or on parts of such areas. While JAO 1-2012 is a government attempt to process such disputes, the spirit of the law that IPRA symbolized is diminished by the procedural mechanisms formulated. The IPRA is a landmark legislation in 1997 hailed internationally in its state recognition and acknowledgement of Indigenous Peoples in the country. With IPRA, historical injustices inflicted on Indigenous Peoples are supposed to be corrected by granting them self-determination over their ancestral domains and lands. IPRA is also avowed to address the situation of dis-empowerment and deprivation of most Indigenous Peoples. And to strengthen and affirm the enactment of IPRA, Certificates of Ancestral Domain Titles (CADTs) and Certificates of Ancestral Land Titles (CALTs) are to be issued, thus formalizing State recognition, apart from other support mechanisms. But IPRA was passed with the policy of “vested rights” still in place. This means that under IPRA, all “existing and/or vested property rights” before its effectivity in October 1997 when the law was enacted, are to be recognized and respected. These vested or existing property rights thus remain valid under Philippine law and are to be excluded from all ancestral domain and title claims. This leaves many ancestral domains and lands, once titled, riddled with holes from excised areas. These excised areas representing overlapping claims will be subjected to a process of resolution. This is how JAO 1-2012 will proceed in the processing of ancestral domain titles. A Joint National Committee on DAR, DENR, LRA, and NCIP Concerns will address or resolve jurisdictional, operational and policy issues brought to their concern, in relation to the issuance and registration of CADTs and CALTs. Special teams and regional or provincial committees may be created by the joint national committee. registration of titles by LRA. These areas can only proceed with titling procedures until resolved by the concerned Joint Provincial/Regional or National Committee. NCIP, DAR, DENR will need to submit to the LRA a complete list of CADTs, CALTs, CLOAs, and FPs. Ongoing and future applications for land titles will go through a process of review in all three offices to determine if there are contentious claims and issues to the area applied for. Certificates of non-overlaps will be issued upon confirmation by all three agencies for areas with no conflicting claims. Where is the way forward? While a provision exists in the JAO that Indigenous Peoples can contest the validity of other claimants to their ancestral domain, this is surely not a mechanism that most indigenous communities are expected to undertake. NCIP has clearly subjugated its decision-making power, unable to defend its jurisdiction as supplied by IPRA. Weakened internally by incapacity, it cannot hold is own institution at par with other government agencies. Instead of being defined from within, NCIP and indigenous communities are being defined externally. It is a sad note that for all the commitment that’s said and done for the marginalized, opportunities to break down marginalization such as IPRA are frittered away and lost in the jumble of government bureaucracy. While IPRA is not without its limitations, it still remains a law that cannot be ignored in relation to upholding indigenous rights and self-determination. It therefore remains a challenge if NCIP can muster its remaining strength and defend its authority in approving ancestral domain claims, assuring indigenous communities that as far as NCIP is concerned and the JAO notwithstanding, approved ancestral domain claims remain as such, approved.